This is the 3rd part of a series of blog posts which cover a set of Performance Testing scripts I have used to test Dynamics 365 CE with Unified Service Desk with XenApp. This test focuses on the controller script which is used to launch user sessions. Below is a version of the script I used. It has some comments which cover what each of the sections do. One of the fundamental issues I had was how to programmtically launch Citrix sessions from PowerShell. Fortunately LoginVSI comes with an executable called SFConnect.exe. This is a really simple application which makes it easy to launch Citrix sessions. If you are not lucky enough to have access to SFConnect.exe, then you could use something like this. In the next part I will record a video of this in action in my lab and in the final blog I will look at areas where this could potentially be improved. I would love to get your feedback on the blog so far, so feel free to make some comments. This blog is a little video which shows the workload in a demo environment. Below is a sample script from GitHub which you customise to your own needs. 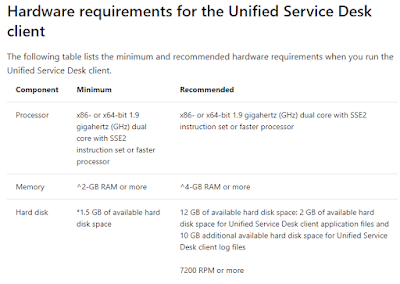 As discussed in my introduction, this set of blog posts is to show what can be done to performance test Unified Service Desk and Dynamics 365 CE. These tests are more designed to identified the client side impact of using USD. It can be a very CPU intensive program and depending on your configuration on CE, some of the pages can take a while to load and/or use up a lot of client side resource. 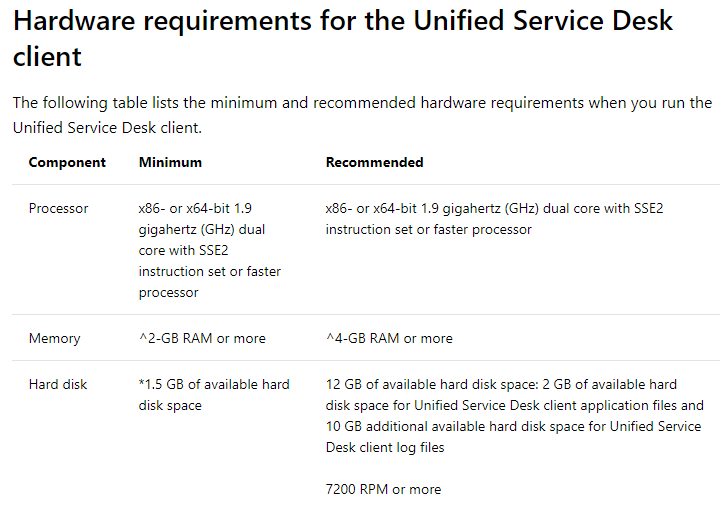 Microsoft provide some hardware recommendations, but when running this in a Server Based Computing environment such as Citrix XenApp, it is unlikely you are going to give every user 2 dedicated CPUs without some pooling. Microsoft know this and if they could burn IE to the ground I am sure they would, but in the meantime their Dev teams have been hard at work and have a public preview of leveraging Edge instead of IE. Back to my script. It was designed to see what the sweet spot ratio of user:compute is. This post is more related to the workload and to tackle the issues you may face when automating test steps. I am assuming that you have some PowerShell knowledge so far, but if you have any questions, feel free to comment. So how do you move the cursor around the screen? In automated testing it is usually better to use keyboard strokes, but some windows and applications do not support them or are unreliable. It is imperative that if you use mouse cursor clicks, that tests are run with the same resolution. First of all you need to ensure that the WinForms is added to your script. Just place the following at the top of your script. After that, simply use the following line to move the mouse cursor to the correct place based on X,Y co-ordinates. You could use something like this to find out the position of the mouse cursor when you are configuring your script. OK, so I have the cursor in the correct place, but how to I imitate a click. Well I won't pretend to have come up with this myself, but I found this which did the trick nicely. You can create a simple function and just call it at certain points in your script. Just put the code from the link above at the top of your script. 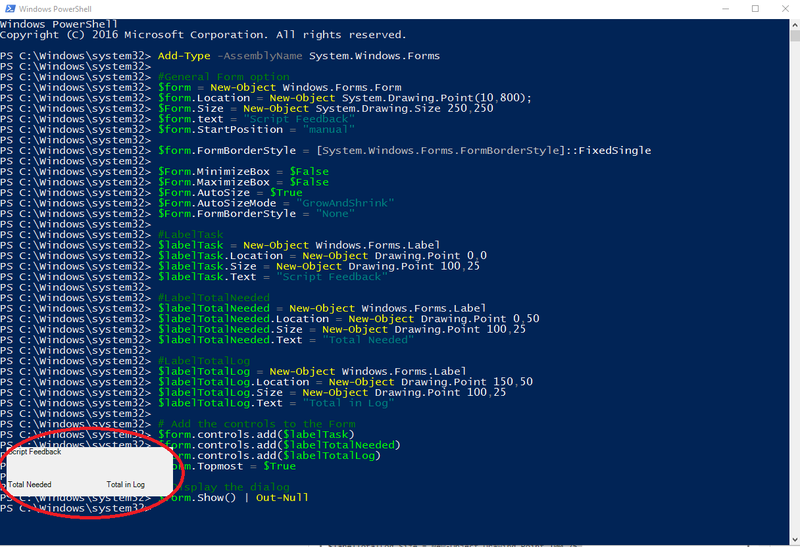 There is some guidance for using or creating keyboard shortcuts in USD but I found it required config changes within the CE environment which I wasn't keen to tinker with. You can find a list of special keys here. This one drove me crazy! Imagine a window pops up with a button you need to click OK to. Now imagine that every time this window pops, it is in a different location on the screen. A testing nightmare. I used a couple of techniques to resolve this issue. First of all, I needed to know when the window appeared. The process UnifiedServiceDesk.exe was running, but when the call would appear, the window title would be blank. I had a loop that would do nothing until $idle was equal to 0. After this I would get the coordinates by using get-window powershell script which can be found here. I would then subtract a certain amount of pixels to determine where the button I wanted to click was! This was relatively straightforward. Again, I am against reinventing the wheel, so I found this link which works really well. This was an interesting one. I could have easily have used Write-Host or Write-Progress, but this information would have been hidden behind USD. Not great when you want to monitor the testing or troubleshoot what is occurring. The answer is to create little GUI using WinForms. As you have already loaded the assembly for mouse clicks, you just need to declare the form and labels. You could get fancy and create this in Visual Studio, but I just created it in ISE and tested it locally. I created three labels. One which says which task is being completed, one which says how many entries of a certain event are in the USD log file and one which says how many are required before moving onto the next step. $labelTotalLog.Text = "Total in Log"
This can be whatever you want. The key part here is to ensure it appears above all over windows. This is achieved with $form.Topmost = $true. You should ensure that when you update the labeltext, you refresh the form. $labelTask.text = "waiting for call"
This one is amusing. Aspect Unified Agent Desktop establishes a voice path with the agent which essentially ensures that they are engaged and call delivery is quick. When logging into UAD, it will dial the user in Skype. As you may know, Skype presents a toast pop up in the bottom right hand corner of the screen. It is really difficult to programmatically interact with this toast pop up or have auto answer. My answer was to simply wait 5 seconds after UAD had logged in, move the mouse to the bottom right hand corner and click the left button. You cannot answer a Skype call unless you have a proper Microphone device on your computer. This can be a problem if you are using XenApp through RDP or something similar. I used Virtual Audio Cable to mimic the presence of a mic. This can be used programmtically, but I was only interested in bypassing the Skype check. This was the most difficult issue. In my first version of the script, I simply used Start-Sleep only. This worked most of the time, but in my scenario I was trying to see the impact of running more users on my XenApp Server. This meant that the more congestion, the longer the sleep times. I next looked at monitoring the CPU usage of USD. Looping round to see when the usage went down to 0% for a sustained period of time. This fixed the above issue, but it introduced a little CPU overhead. I wanted something cleverer and more robust. Finally I looked to the USD log files that sit %appdata%\Microsoft\Microsoft Dynamics® 365 Unified Service Desk\4.0.0.993\UnifiedServiceDesk-2019-01-19.log"
I would interrogate the log file after each step to see if the pages had finished loading and then move onto the next step. write-host "waiting for task to complete"
$global:labelTotalNeeded.text =  "Total Needed $vari"
$global:labelTotalLog.text =  "Total in Log $count"
I know that when USD loads for the first time, it loads a dashboard. This loads 7 CE pages before it has finished. So it will call the function and the function will loop round once and repeat 6 more times. It will provide feedback on the GUI form I created. If something has gone wrong and 100 seconds passes by (200x500ms), the script will exit. If the error occurred, then I called a separate function that would email me and exit the script. This worked really well for most things. There were a couple of steps which didn't have a definitive log entry item or they were not reliable. For these I created a more generic function called Check-LogIdle. This would check the total amount of lines in the Log File. If this number remained constant for a total of 10 iterations (of a second of so each) it would move onto the next step. Using the Check-Status function, but placing it inside a Measure-Command bracket will allow me to measure the time taken to complete a task. After I would collect some other information like the username and the time and then append it to a CSV file. The resultant CSV file looks like the below. Hopefully the above shows some good techniques to testing USD. The key here is profiling the specific tests you wish to complete and gathering information such as mouse-clicks and keyboard strokes. There is not one size fits all approach here unfortunately. I would love to build a script which you could use to automatically profile a specific scenario, but that is one for another day! The next blog post in this series will have a sanitised version of the script I use and hopefully a video of it in action. The last post in the series will cover the controller script which launches these workloads from a central location. Please leave comments on any of the above. If there is a better way of completing certain tasks, or other features that could be useful. Let me know!